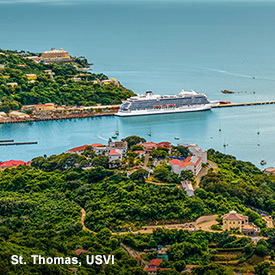 Viking® believes in offering well-designed cruises that bring you closer to the cultures of the world. With destination-focused itineraries across Europe, the Americas, Asia, Australia and beyond, we invite you to travel with like-minded travelers on what Viking calls The Thinking Person’s Cruise® a culturally rich, immersive experience designed to help you explore and engage with your destination through its food, culture, countryside and customs—with enriching shore excursions, insightful lectures, Destination Performances, cooking classes and regionally inspired cuisine. 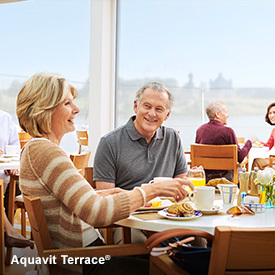 Plus, with Viking Inclusive Value, just about everything is covered, from meals and beverages to shore excursions and free Wi-Fi. 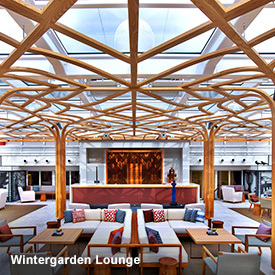 Enjoy all this while sailing on board one of Viking’s state-of-the-art vessels, whether it be a Viking Longship on Europe’s rivers or an ocean sister ship on the world’s great seas, recognized for their small ship luxury, streamlined Scandinavian design, refined onboard ambience and understated elegance. 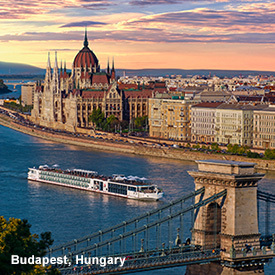 Call us for your unforgettable ocean or river cruise! I began my career in the travel industry in the mid-80’s, after completing my training at Southeastern Academy in Kissimmee, Florida. Today, I assist with both corporate and leisure travel. How did it all begin? I started with planning Senior High School Trips to Florida for Spring Break, brought entire High School Bands to Disney World to perform in the electric light parade, I’ve been fortunate to have trekked through Machu Picchu in Peru, floated down the Amazon, relaxed aboard many beautiful cruise ships and sunned on the beautiful beaches of Cabo San Lucas Mexico. Even today, as I reflect on the years I have been in the travel industry, I have so many memories that still make me smile, and bring a happy thought to my mind. I would love to help you, your family and friends plan that special vacation, Paris France, Paris Texas, there is a reason you want to travel there, allow me to help you plan that special trip!